To charter one of our yachts from Haslar Marina (PO12 1NU), please read the Booking Information below and then select the appropriate booking form below for either Bareboat or Skippered Yacht Charters. For courses please use ‘School booking’ form. ‘Midweek Special’ Charters are from Sunday evening to Friday 14.00 and same price as the weekend rate. School courses typically start at around 1830 on start date and run for 5 days with 1630 finish on last day. Single day midweek 50% of weekend rate, single day weekend 80% of weekend rate. £1000 security deposit required for bareboat charters. 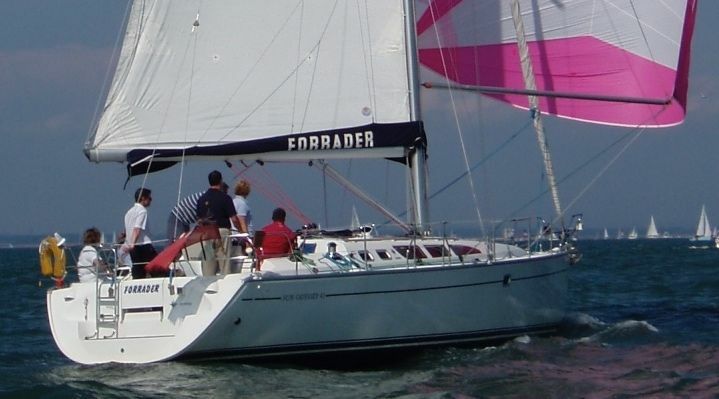 £2000 for racing charters bareboat or skippered. We recommend travel insurance when sailing, we recommend Topsail Insurance from £20 for a single trip.